Spend a day walking the streets of an exquisitely preserved city that was, for centuries, buried under layers of sediment and completely forgotten before enjoying a refreshing glass of limoncello, a Sorrento specialty. Today even young school children know the story of Pompeii but there was a time when this city had disappeared from memory. 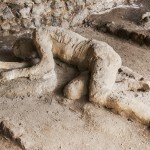 Buried under ash and pumice after the 79 AD eruption of Vesuvius, Pompeii now grants you a glimpse into the everyday life in the Roman Empire. You may find it wasn’t so different from life as we know it now. From the ancient to the more modern, enjoy wandering Museo Correale di Terranova in Sorrento. Overlooking the Gulf of Naples, the villa is home to Capodimonte and Sèvres ceramics, Murano glassware, Bohemia crystal as well as an archaeological collection. Be sure to try the Campania region’s digestive, limoncello-a lemon flavored liqueur-before your return to Rome. 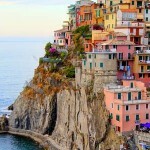 Every region of Italy has its own unique blend of history and culture and the Campania region is no different. 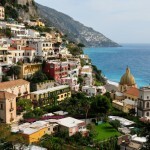 From the cliff-top views of the Tyrrhenian Sea as you drive the Amalfi coast, to local liqueurs Europe Odyssey has carefully crafted this tour to maximize the beauty and history of Campania.